Garbanzo Flour can be combined with other flours to provide vegetarian fare. Garbanzo Flour is commonly used throughout India and in many cuisines of North Africa and the Middle East to make pancakes, pizzas, dumplings, soups and stews. You will find many recipes using Garbanzo Flour in cookbooks from these continents. Garbanzo Flour can be substituted for soy flour in most recipes. 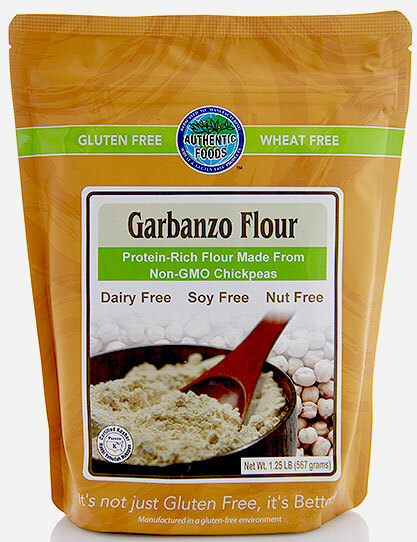 Garbanzo Flour is a good replacement for wheat flour to thicken up soups or sauces. Try adding a little garbanzo flour to some of your own personal recipes for a wonderful high protein-fiber,nutty flavor. 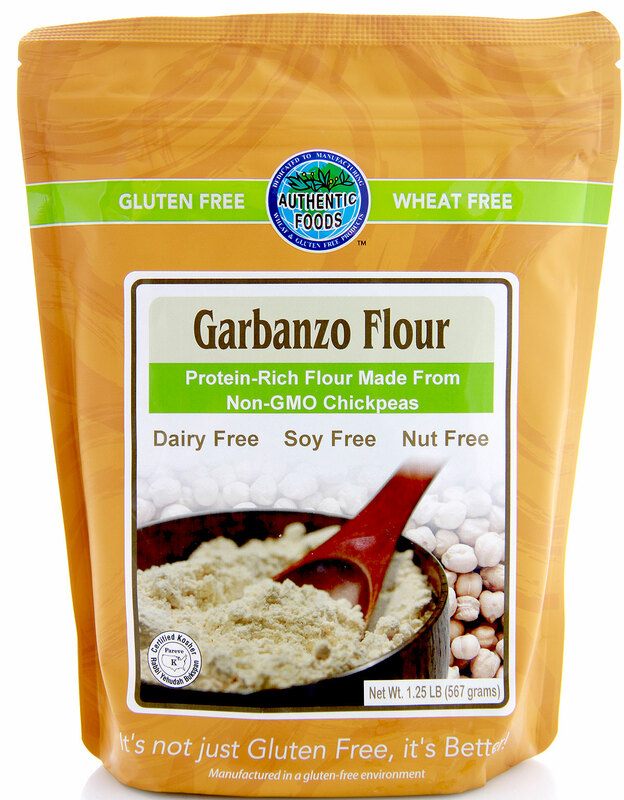 Garbanzo Flour is great for making hummus, falafels, breads, rolls and muffins. Mix together the flour, water, oil, salt and cumin. Let the batter rest in the refrigerator covered for at least 2 hours. Heat the broiler in the oven. Spray oil onto a 9 1/2” x 12 1/2” x 1” deep baking sheet pan or a cast-iron skillet and heat under the broiler for 2 minutes or until it is piping hot. Pour enough batter onto the baking sheet or cast iron skillet to cover the bottom. Bake under the broiler until the socca is firm and begins to blister and burn. Approximate 4-5 minutes. Slide the socca out of the pan, slice into wedges. Continue to cook the rest of the batter the same way.